Expanding on his ideas from Thus Spoke Zarathustra, Nietzsche's radical polemic Beyond Good and Evil undermines the assumptions of traditional morality and encourages us to think more critically about the world we live in. In this famous text, no philosopher escapes Nietzsche's penetrating gaze. Questioning the blind following of religious faith, he analyses the deeper question of who is truly good or evil. 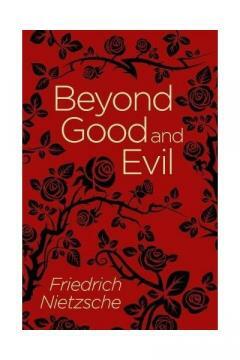 Nietzsche argues the 'good man' is not the opposite of the evil man but rather a reflection of him. Beyond Good and Evil presents a unique perspective of the human mind offered through the words of one of history's most controversial philosophers.